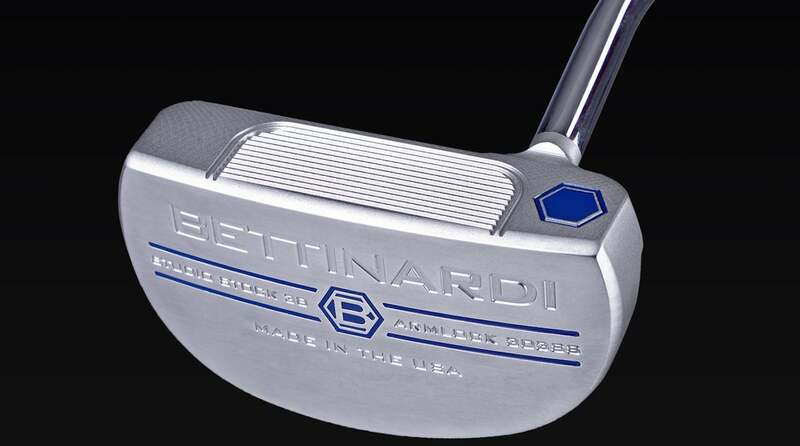 Bettinardi's SS38 Armlock is a line extension for the Studio Stock Series. Seven years ago, a chance meetup with instructor Dave Stockton at a golf clinic in Palm Springs completely changed the way Matt Kuchar looked at his putting stroke. 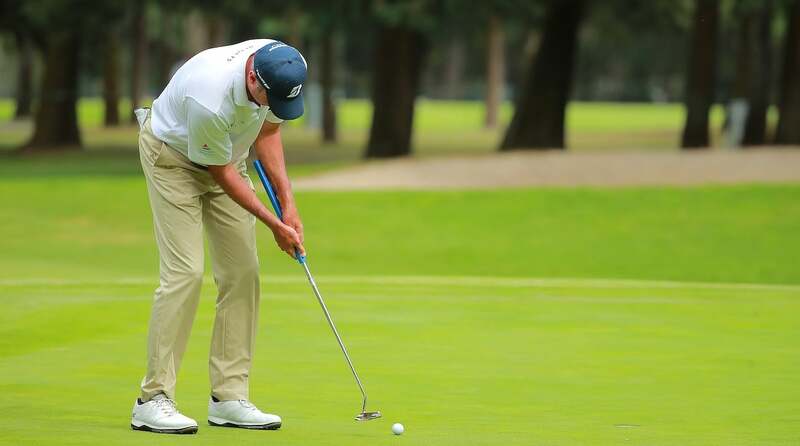 As the story goes, Kuchar was trying unsuccessfully to emulate Stockton’s stroke, so he decided to make a minor adjustment, choking down on the putter to allow the grip to come up to his wrist. Sensing he might be onto something, Kuchar tweaked the loft and had the shaft lengthened, thereby allowing the grip to rest comfortably against his left forearm and act as an extension of the arm. The “arm-lock” stroke made it easier for Kuchar to not only control the putter face but eliminate possible deviations in shaft angle from setup to impact. Other players have embraced Matt Kuchar's arm-lock method. Once the only player on Tour employing arm-lock, Kuchar looks like a trendsetter these days. The USGA’s 2016 anchor ban spared arm-lock, setting the table for more players to entertain the idea of using the non-conventional method. Bryson DeChambeau and Webb Simpson are just a few of the names who’ve switched and recorded wins with arm-lock since the ruling went into effect. Hoping to capitalize on Kuchar’s success, Bettinardi signed the nine-time Tour winner to a putter-only deal and rolled out the Kuchar Model 1 arm-lock putter. More recently, the putter manufacturer has added other arm-lock models to their retail lineup, including the Studio Stock 28 Slotback and, most recently, the Studio Stock 38. The new Studio Stock 38 arm-lock (400 grams head weight) is an extension of the company’s compact mallet that features one shaft of offset and five degrees of loft. The F.I.T. (Feel Impact Technology) face offers 20 percent deeper grooves to produce a noticeably softer feel at impact on the 303 stainless steel body. The head is finished in hand-polished platinum designed to give it a clean look at address. Due to its unique length and where the grip rests against the forearm, the putter comes with a 15-inch deep etched cord grip. Length can be adjusted from 40 to 42 inches in half-degree increments. Loft ranges from five to seven degrees to account for the forward press needed to achieve a consistent roll. 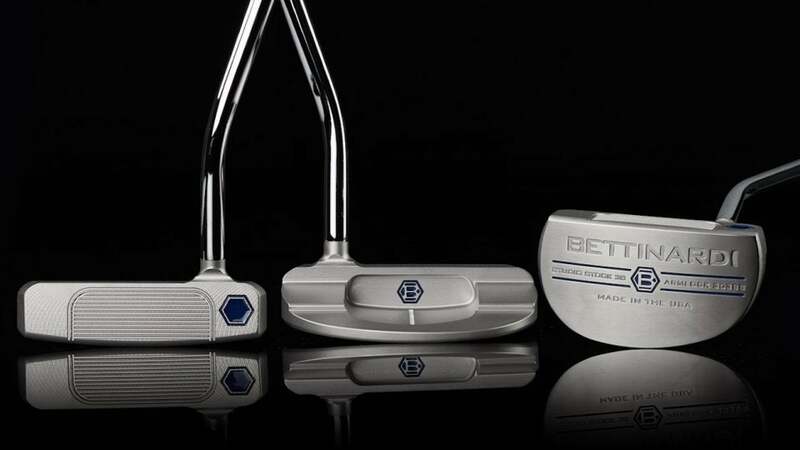 Bettinardi’s Studio Stock 38 arm-lock putter retails for $450.